The UAE’s campaign to rescue Somalia from its plight of humanitarian disaster, piracy and terrorism at the hands of Al Shabaab is an ongoing but major objective. 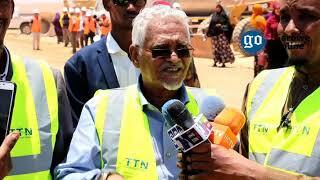 The Ministry of Foreign Affairs, the Ministry of International Cooperation and Development and UAE port operators have been involved for five years in trying to make the failed east African state a functioning member of the regional community. The Armed Forces, and specifically the Navy, has been working to develop a Somali coastguard that will protect the country’s fishermen and also foreign tankers from the threat of piracy. Last year, the Armed Forces donated battle wagons and other equipment to Somali National Security and Intelligence Agency plus training programmes for Somali Special Operation forces for specific counter-terrorism missions. The value of the UAE’s military aid is the hundreds of millions of dollars and has seen Sheikh Abdullah bin Zayed, Minister of Foreign Affairs, and Somali defence minister Mohamed Sheikh Hassan Hamud sign a major military agreement. The cross-section of UAE public and private entities helping Somalia has the goal of stabilising the majority Sunni Muslim country and readying it for mutually beneficial investment. The UAE has undertaken this effort as it see conditions in Somalia as a potential threat to the stability of the region due to it being a hotbed of criminal activity. 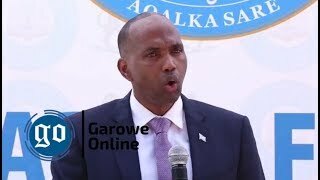 The work put in over the last five years has seen piracy drastically reducedbut, in collaboration with the Somali government, efforts are still ongoing to help the country be a productive regional ally. The primary tools used by the UAE are foreign and security initiatives and public-private partnerships. The idea is to build economic empowerment while simultaneously fighting against piracy and terrorism. 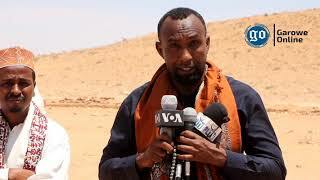 Sheikh Abdullah is a proponent of soft diplomacy when interacting with key Somali actors at both national and regional level due to the clan-based system of the country. 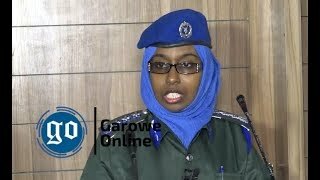 The ministry of Sheikha Lubna Al Qasimi, Minister of International Cooperation and Development, complements this approach by emphasising that the security of Somalia’s citizens is an economic requirement. Both UAE ministries interact with a number of international organisations such as the EU, the UN and other agencies in relation to the country. We must remember that the mandate for the European Union’s Atalanta maritime security programme to halt piracy off the coast of Somalia expires next year. Operation Atalanta has helped to almost eradicate piracy, as there has been next to no successful piracy operations for the past two years. The fear is that once the mission ends, piracy will come roaring back, affecting the security of the Gulf of Aden and the greater Indian Ocean — a possibility that poses a direct and real threat to the UAE. The UAE wants to ensure that there is stability and alternative economic models, especially in microfinance and investment, that helps to create jobs for Somali youths. From the UAE point of view, it is imperative to create a Somalia that can serve as a model for the rest of Africa while also guaranteeing that piracy will not re-emerge from the country’s southern coastal areas. 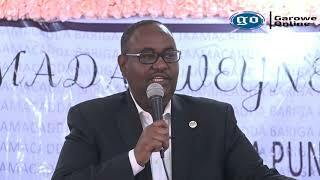 That is why the UAE views its good relationship with Puntland, the autonomous area that makes up roughly a third of the country, as a major achievement that can spread to the rest of the country through investment in communications, media and infrastructure. 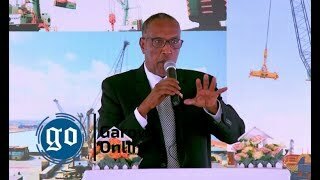 DP World, the Dubai-based global ports operator, is part of the UAE’s outreach programme for Somalia and it has plans to develop three ports in the country to help boost its faltering economy. Security is a key requirement when it comes to building a port, so DP World has had to work closely with the UAE’s security and foreign policy arms. This collaboration is pivotal as the Al Qaeda-affiliated militant group Al Shaabab still represents a clear and present danger not only to Somalia but also to Kenya, where Mombasa is a major UAE economic partner. Several thousand UAE Armed Forces are involved in organising, training and equipping various Somalia factions to help them not only with counter-terrorism operations but also in fulfilling general policing functions. The rule of law is critical in Somalia and the UAE is continuing to set the standard when it comes to helping the country get on its feet and staying there. The alternative is not something the region can afford to let happen.